Alongside a $1,100 USD shopping bag. Japanese retailer Isetan‘s is hosting a Spring/Summer 2018 pop-up for Demna Gvasalia‘s Balenciaga, with shoppers getting a hands-on look at some of the brand’s warm weather goods, including an ultra-pricey slide sandal. The store will host a selection of clothing from the collection, including a branded track jacket and matching pants, along with accessories like the “Supermarket Shopper” and “Supermarket Clip” bags and the “Pool Flat Sandals.” Recalling plastic bags used at grocery stores, the “Supermarket Shopper” is crafted from soft, cream-colored leather, and both bags feature Balenciaga branding, playful prints, and tonal detailing. Although the “Supermarket Shopper” is part of the main collection, the “Supermarket Clip” clutch bag is an Isetan Men’s exclusive. 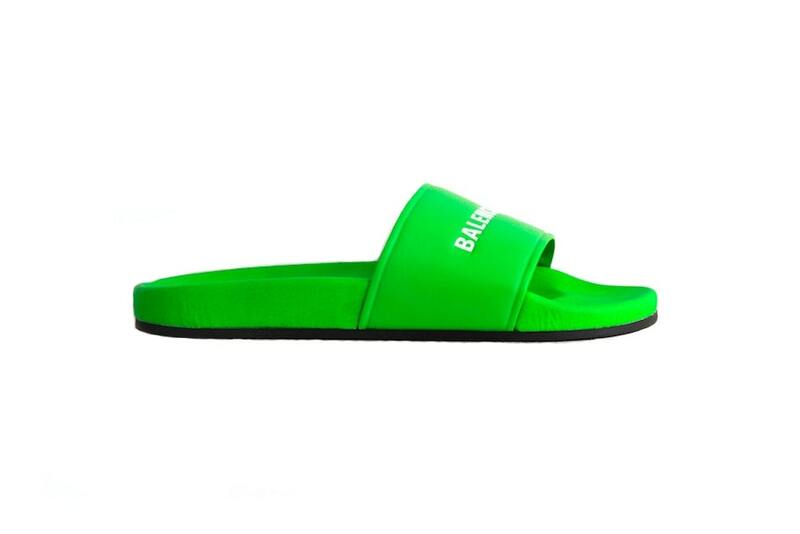 Meanwhile, the “Pool Flat Sandals” feature a green goat leather upper and black leather outsole, with bold branding executed across the forefoot strap in white text. Retail for the sandal weighs in at about ¥73,440 JPY, approximately $670 USD, while the “Supermarket Shopper” and “Clip” bags are priced at ¥79,920 JPY (approx. $729 USD) and ¥128,520 (approx. $117 USD), respectively. It all arrives at the Isetan Men’s store and websiteon February 7. Shoppers looking for more outré footwear should keep an eye on Balenciaga’s platform Crocs, available for pre-order now.